I was walking in Super U department store in France when I saw this very cool promotion. Maggi was offering ovens as marketing gift through an online lottery. The information was made available at the point-of-sale, generating much curiosity. This high capacity oven of 26L is a great idea to promote a brand. It’s just a pity that Maggi didn’t print its logo on the oven. This promotional product would have heightened its brand recall very well, especially as oven have quite a long life span. This could have created free advertisment for Maggi. Now, how much does branding affect business? The number one rule of using a marketing gift as promotional campaign is to put your logo on it. Marketing gift is an investment that should bring greater return for the business. Don’t let your customer forget about you after spending so much resources to come up with the campaign. As mentioned earlier, branding your marketing gift can facilitate free advertising. For instance, if your customer’s friends come and visit they may use the kitchen. While they are in the kitchen, they might see this oven and notice Maggi’s brand on it. A good quality product always arouse curiosity. This will prompt those friends to find out where this oven comes from. Your customer would have won this oven through lottery. 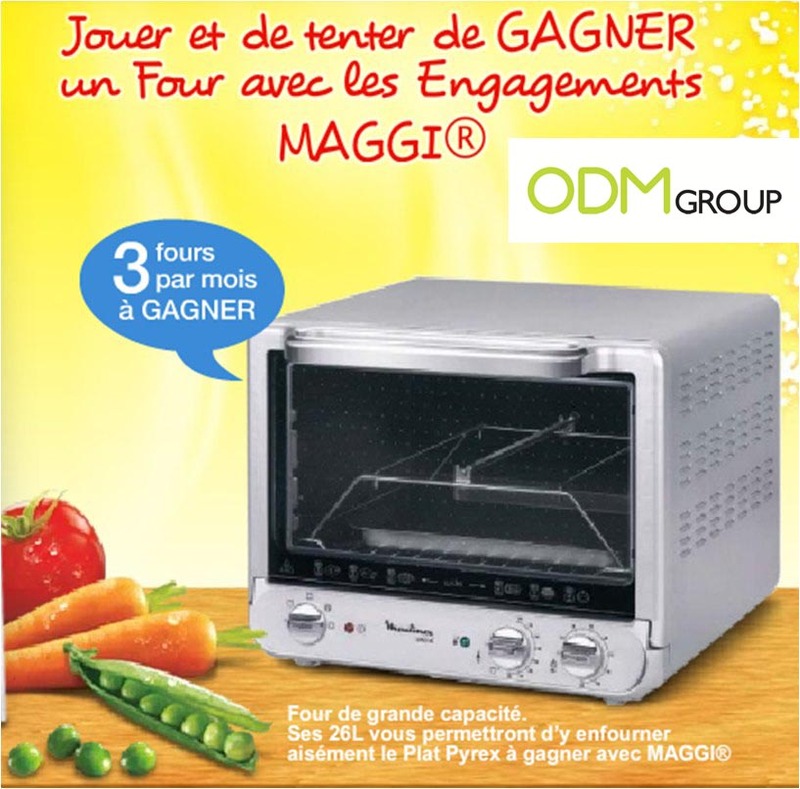 Surely your customer will tell those friends how lucky and happy they are to get this oven from you. This promotional campaign will last long lasting positive impression on your brand. It will lift up your brand image. Not only that, this marketing gift serves as a reminder of your brand. This will enforce brand recall and retain your customers. Seeing Maggi’s brand on daily basis, the customer will continue using it as they will feel familiar with the brand.